You are probably here because you want a striking company logo, a responsive website, a professional company profile or a brand new corporate identity. You will definitely need a capable graphic and web design team that can help you establish a strong BRAND. View our Portfolio.  We at Jabulani Design Studio have been specialising in company profile design for more than 14 years. Let us write and design your company profile. It takes about 3 days to write your content. Design takes about 5 days. You can get your final company profile in an electronic version. Depending on client preference and the scope of the graphic or web design project, we meet and work with clients independently or as a team. Contact us now to schedule your meeting. identities which works across all platforms. Wish we came across Jabulani Design Studio long ago... Personal attention with a quick turnaround! Big thumbs up!!! I can recommend Jabulani Graphic and Web Design Studio for creating an new website for Madame et Monsieur South Africa. a Brand new look. All done with a professional touch. Jabulani work quickly and communicate well in terms of progress of the project. Jabulani Design Studio is my preferred designer for all my clients. I am a copywriter and enjoy their multi-talented, can-do approach. I never have to follow up any projects - I do the content and can leave the artwork and layout to the experts; knowing it will be done with a flair and design that our clients will love.